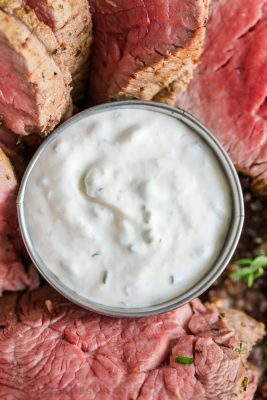 This creamy Horseradish Sauce rivals the best Steakhouse horseradish I’ve tried in both Ruth’s Chris and the Cottonwood Grill. It is excellent paired with prime rib, steak or beef tenderloin. 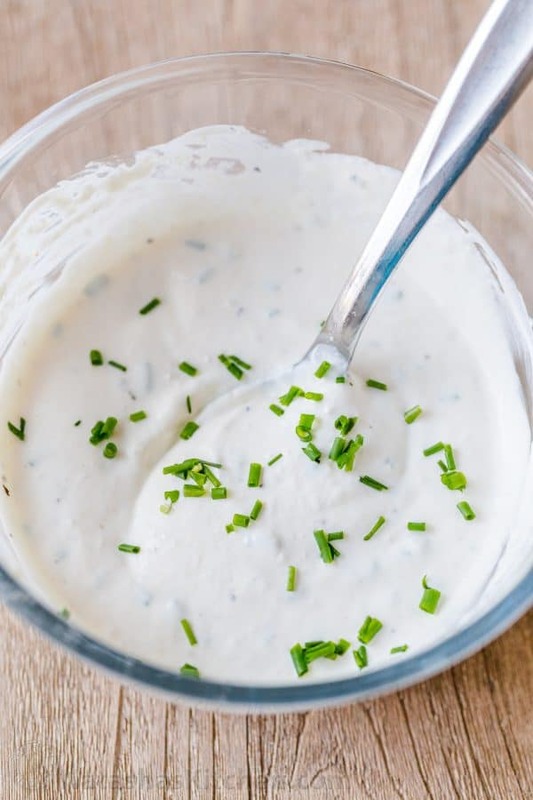 This horseradish cream sauce is so easy and will impress your dinner guests! 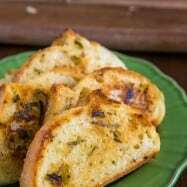 It keeps well in the refrigerator for at least 2 weeks and only gets better as the flavors meld. 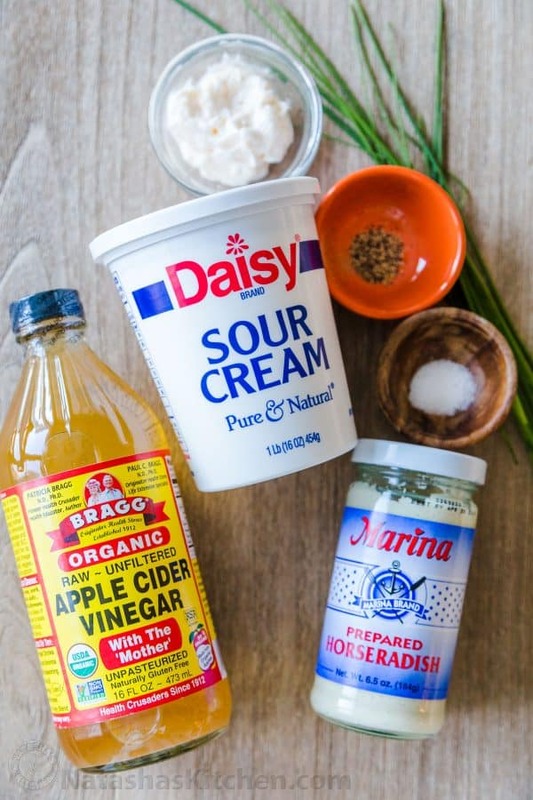 This sauce is creamy and balanced by the cider vinegar. It isn’t overly pungent and won’t mask the flavors of the excellent prime rib you’ve prepared. If you like your horseradish sauce a little more potent, add horseradish to taste. 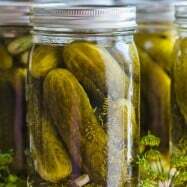 You can purchase jars labeled “prepared horseradish” in the refrigerated section of your grocery store. If you have a fresh horseradish root growing in your yard, you can make homemade prepared horseradish in a food processor with some water, vinegar and salt but keep in mind homemade is twice as strong as store-bought so add it to taste. Prepared horseradish is so versatile. 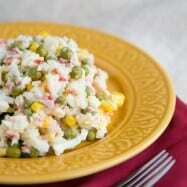 We love it in crab salad, coleslaw and “Hron” (a Russian sauce with grated beets). It really doesn’t get any easier than this: combine all of the ingredients and stir! 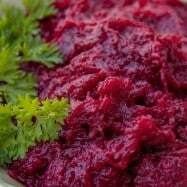 What Can I Serve Horseradish Sauce With? 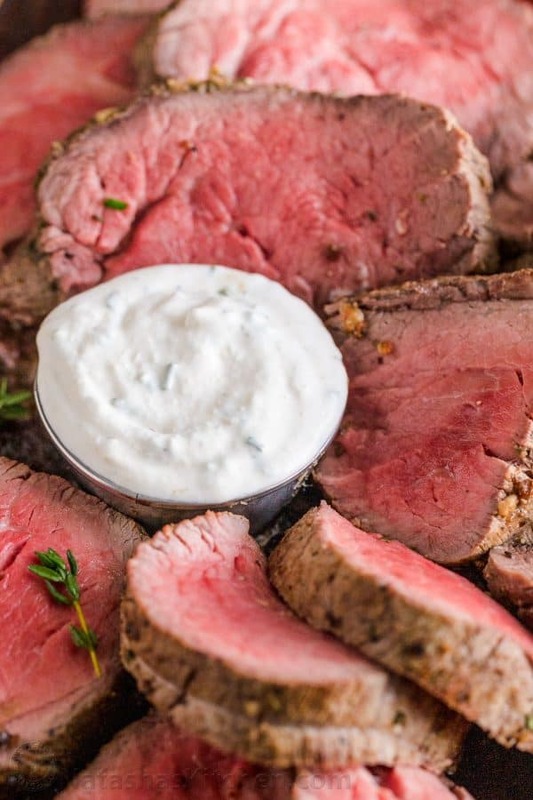 This creamy Horseradish Sauce rivals the best steakhouse horseradish and is excellent paired with prime rib, beef tenderloin or steak. In a small mixing bowl, stir all of the ingredients together. Serve right away or cover and refrigerate for about 2 weeks. If you enjoy a stronger horseradish sauce, add more prepared horseradish to taste. 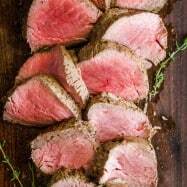 Stay tuned, we’re sharing a video recipe of our all-time favorite beef tenderloin tomorrow which we served with this sauce. It is the perfect main course for Valentines Day! 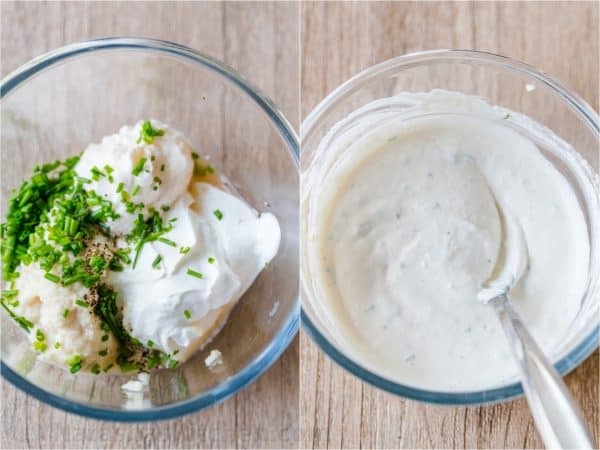 Q: What is YOUR favorite way to enjoy Creamy Horseradish Sauce? I would love to hear from you in a comment below! I have used a similar recipe (no mayo). This is so much better! 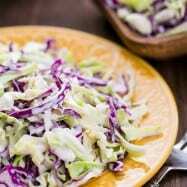 Absolutely love ALL your recipes and your presentations! Your videos make the recipes even easier to follow!